The United States and New Zealand concluded two days of meetings on July 20 under the Trade and Investment Framework Agreement (TIFA), noting the strong and growing trade relationship between the two countries and discussing a full range of bilateral issues. Members of the U.S. Congress have requested negotiations for a free trade agreement with New Zealand for years. New Zealand and the United States have been strong partners and good friends for more than a century. Political ties are close, business links are strong, and cultural links are many and varied. In the aftermath of September 11, New Zealand Prime Minister Clark quickly and firmly offered diplomatic, political, and military support. New Zealand is one of only two countries that has fought side-by-side with the United States in every war since World War I. According to the Office of the U.S. Trade Representative, the United States and New Zealand agreed to a program of expanded cooperation on issues of shared interest, including working together to address trade barriers in third-country markets and exchanging information about unfair trade practices. The meeting recognized the importance of building on the strong and close ongoing cooperation between the United States and New Zealand at the World Trade Organization (WTO), the Asia-Pacific Economic Cooperation (APEC), and other international organizations. The United States raised concerns regarding intellectual property and pressed for improvements. The meetings were led by Deputy U.S. Trade Representative Jeffrey Gerrish for the United States and Ambassador Tim Groser for New Zealand, with Ministry of Foreign Affairs and Trade Director General Clare Kelly leading a delegation from Wellington for the talks. The U.S. delegation included officials from the Office of the U.S. Trade Representative and the Departments of Agriculture, Commerce, and State. Two-way goods trade between the United States and New Zealand totaled $8.1 billion in 2017, with U.S. goods exports to New Zealand totaling $3.9 billion and imports totaling $4.2 billion. The United States had a $237 million goods trade deficit with New Zealand in 2017. U.S. services exports to New Zealand totaled $2.5 billion in 2016 (latest available data), while services imports from New Zealand amounted to $2.2 billion in 2016 (latest available data). The United States had a $315 million services trade surplus with New Zealand in 2016. New Zealand is one of the strongest U.S. allies in international trade liberalization. New Zealand has worked consistently with the United States in trade forums, such as the WTO and APEC. Two-way trade between the United States and New Zealand has increased by 41.8% in the last five years to approximately $7.9 billion in 2015. 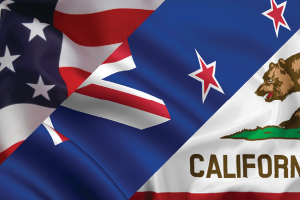 According to the U.S Department of Commerce, California exported approximately $573.74 million to New Zealand in 2017. Top exports included transportation equipment (19.1%), food manufactures (16.2%), computer/electronic products (13.7%), and agricultural products (10.7%). 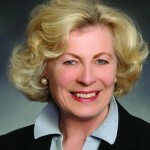 The California Chamber of Commerce, in keeping with long-standing policy, enthusiastically supports free trade worldwide, expansion of international trade and investment, fair and equitable market access for California products abroad, and elimination of disincentives that impede the international competitiveness of California business. 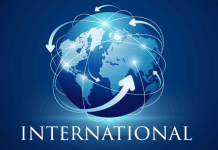 New multilateral, sectoral, regional and bilateral trade agreements ensure that the United States may continue to gain access to world markets, resulting in an improved economy and additional employment of Americans. It is critical to consumers, workers, businesses, farmers, and ranchers in our state that job-creating trade agreements are negotiated and approved at a time when they are needed more than ever. Trade agreements ensure that the United States may continue to gain access to world markets, which will result in an improved economy and additional employment of Americans. The CalChamber urges support of trade agreements that will continue to keep U.S. and California businesses competitive.